Pocket Choker Tunic Just $16.99! Down From $35! Shipped! 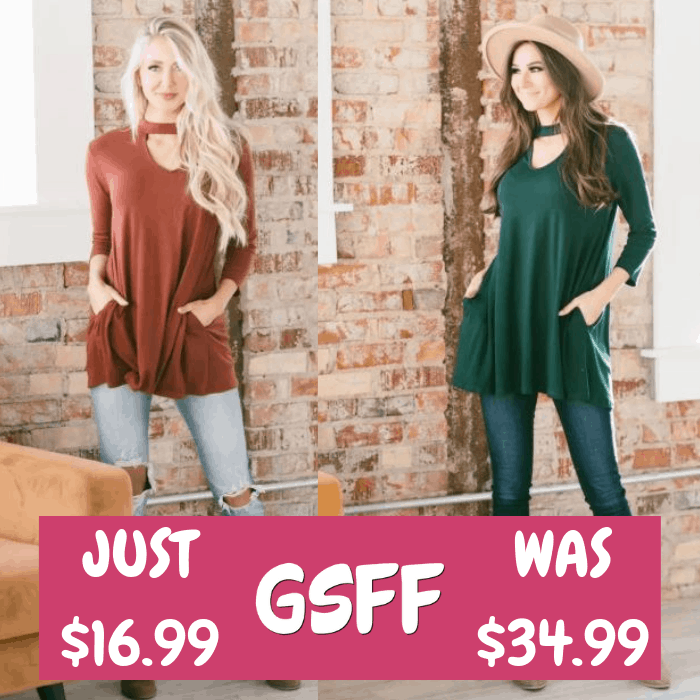 You are here: Home / Great Deals / Pocket Choker Tunic Just $16.99! Down From $35! Shipped! This deal expires on February 15! Jane is currently offering this Pocket Choker Tunic for just $16.99 down from $34.99 PLUS FREE shipping! This Katie Pocket Choker Tunic is so classy and has so many details that we love! From the chic choker to the trendy and functional pockets to the 3/4 sleeves to the loose A-line fit, what’s not to love? This tunic is so soft and drapes beautifully overall body types! Wear it with your favorite leggings for a comfy stylish look this season!